In recent years, Discussions about migrations have been marked by the so-called refugee crisis as the media have dubbed the more numerous than usual border crossings in 2015. The word migration thus conjures up images of endless caravans of people from the Middle East, the militarized responses of the EU states, and social polarization and the rise of hate groups. Migrations have become a synonym for an emergency situation. The point of view that presents the mass migrations of 2015 as an extraordinary natural disaster that states must control by all means deflects from a true understanding of this multilayered process. Mass migrations of people from the region to another have a complex history and are inextricably entwined with global economic processes that equally affect the local populations and the migrants. Phenomena such as the migrations of refugees in 2015 are hard to process without understanding the origins of our borders, what this meant for the population and in what way also the inhabitants of Slovenia are included in the global processes of migration. The “Migrations in Time and Space” series of lectures will focus on the regional conditions in the areas near the borders and try to put the local history of the immigration and emigration of Slovenes in the global context. Wednesday, 19 December 2018, 6 p.m.
On such varied topics as political representatives, the labor force, or the national basketball team, the public discourse in Slovenia is seeing a resurgent emphasis on the “national extraction” of the citizens of Slovenia. Frequently used in such debates are the elusive notion of ethnicity “by blood” and the image of an imaginary people that has always inhabited this region, dreaming of its own state. This need for a quickly constituted national awareness has unfortunately clouded the actual history of the region, greatly marked in terms of culture, politics, and economy by migration currents over the past centuries. Anthropologist Irena Šumi, Ph.D., will focus on the historical topics of hos the population of present-day Slovenia was constituted, what role immigration played in this, and how the recent diaspores were framed. The first lecture forms part of celebrations of the 1st anniversary of Kantina and is part of the events organized on the International Migrants’ Day, 18 December 2018. 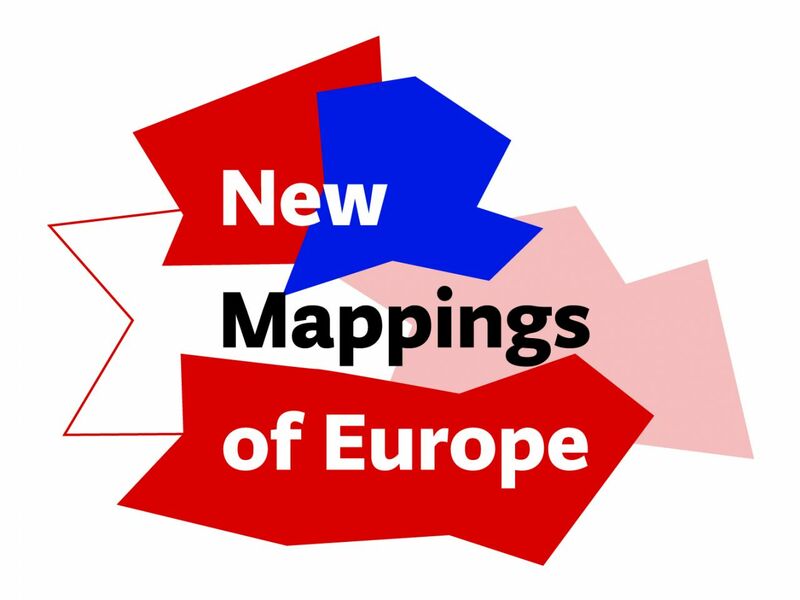 The lectures are organized as part of the New Mappings of Europe project. New Mappings of Europe is a two-year collaborative project of four different art and cultural institutions from Serbia, Slovenia, Austria and the United Kingdom, which will generate knowledge about the migrants’ cultural heritage in Europe and make cultural and art institutions more accessible to local communities of migrants of the first and second generations as well as to the new communities of asylum seekers and refugees. The project will consist of co-curated exhibitions, accompanied by a rich public mediation programme, artist residencies, a common web platform, and an international conference. The aim of the project is twofold: on the one hand to deal with past phenomena related to migrations, and on the other, to link these phenomena to current migrations. The partners of New Mappings of Europe project have initiated concurrent events for the International Migrants' Day from 15 to 19 December 2018 to celebrate, accept and make visible our rich histories of migrations. Austria, Join the UN Migration Pact! Saturday, 15 December 2018, 2 p.m. The current Austrian federal government operates an explicit anti-migration agenda, which recently has become manifest in the fact that Austria is one of the 10 states worldwide that do not support the UN migration pact. Civil society is answering their policy by large-scale protests such as the "Thursday demos", which bring up to 10,000 participants on the street every week since autumn 2018. With a reference to the International Days of Migrants, we use the so-called demonstration against black-and-blue on December 15 to highlight their concerns in a wider context. In preparatory workshop sessions with asylum seekers as well as with young people with a migration background, slogans are drafted that articulate criticism and claims from the perspective of concerned persons. A translation process between the languages of the participants supports the communication between the different groups of participants. The resulting multilingual texts are duplicated in an easily recognisable layout and circulated among protesters in the demonstration to visualise the polyphony of claims. In addition, the slogan banners include a call for a request to the Austrian Federal Chancellor on 18 December 2018 to join the UN migration pact. On International Migrant’s Day 2018 MIMA invites you to share stories and perspectives on how migration has shaped our area. This event is organised as a human library – you bring the knowledge! In short one on one conversations, you will chat with others about journeys, diversity, new beginnings, displacement, diaspora experiences and family histories. Please feel free to bring an object, image, word or thought which speaks about the importance of migration. This event celebrates the long histories of migration that have made the UK. Middlesbrough’s recent history was built through rapid immigration that fed the area’s burgeoning industries. Laborers came from Ireland, Wales and across England. Today the Tees Valley is home to settled diverse populations. New communities include people seeking sanctuary who are placed here through the asylum system, and international students at Teesside University. Those in the area have extracted, engineered, produced, imported, and exported, relying on the international trade and exchange of goods, and the movement of people. Tuesday, 18 December 2018, at 11 a.m. The Museum of Yugoslavia is organizing a workshop for a class of Third Belgrade Gymnasium, designed and led by professor of Serbian language and literature, Ružica Marjanović from Užice Gymnasium. Erich Kosch's short story The Sparrows of Wan Pei [Vrapci Van Pea] (1962) is an exceptional literary allegorical study of social processes that precede massive, collective, often hysterical, reactions, the kind of which appeared in the 20th century and eventually lead to crimes of gigantic proportions. The text of Erich Kosch will be used in this workshop as a starting point for recognising the role of certain social groups in creating inner enemies and the distance toward them. The focus is on understanding the responsibility of the academic community, the media, the education system, the holders of political power, and citizens who arrange the persecution and do or do not participate in it. A part of activities will be dedicated to the analysis of the behaviour of the persecuted, as well as to the misuse of myths and traditions in motivating and subsequently explaining the process by which citizens are convinced that the sparrows are the enemy and should be destroyed. One of the objectives of the workshop is to identify and demystify today’s mechanisms for creating intolerance towards migrants in Europe and the fear of their arrival in our world. Wednesday, 19 December 2018, at 6 p.m.
More about the lecture on the top of the page.